How does a developing brain know how much it needs to grow? How do the first brain cells know what to do and what to become? These big questions drive Dr. Valerie Wallace’s research, and the answers are opening up exciting new avenues for understanding human health and disease and developing new treatments. “Unraveling the signaling pathways and genes that control brain development is key to understanding how the brain works, and is also important for the development of cell and drug therapies to treat degenerative diseases,” says Dr. Wallace, a Senior Scientist at the Ottawa Hospital Research Institute (OHRI) and Associate Professor at the University of Ottawa (Department of Ophthalmology and Department of Biochemistry, Microbiology and Immunology). While understanding the brain is Dr. Wallace’s underlying motivation, her current research focuses on the eye, and in particular the cells in the retina that are responsible for sensing light and transmitting images to the brain. Cells in the retina are closely related to those in the brain, so the retina provides a good model to study both eye and brain disease. Dr. Wallace and her team are recognized around the world for discovering how the “Sonic hedgehog” pathway controls the development of the brain and retina. They are currently investigating how to harness this pathway to promote regeneration and repair of the retina. They are also looking at the role of this pathway in cancer, and investigating possible avenues for the development of new cancer therapies. Dr. Wallace has been an independent investigator at OHRI since 1998 and Director of OHRI’s Vision Program since 2009. 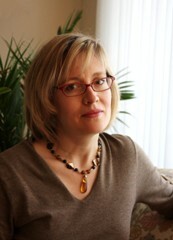 She holds peer-reviewed grants from the Canadian Institutes of Health Research (CIHR), the Canadian Cancer Society Research Institute (CCSRI), the Cancer Research Society (CRS) and the Foundation Fighting Blindness (FFB) and is currently the lead investigator on a CIHR/FFB-funded Team Grant in Regenerative Medicine. Dr. Wallace is also a member of OHRI’s Regenerative Medicine Program and a member of the Stem Cell Network. See Dr. Wallace’s scientific profile for details.